Why Is It So Important To Be Mobile Friendly? Ask Google. Google’s new search algorithm penalizes websites that are not mobile-friendly. The news is official: Google wants you to mobile-ize your website. Google announced last week that it plans to expand its use of mobile-friendliness as a ranking signal. They plan to do this by updating its algorithm (again) to increase rankings for mobile-friendly sites. This means that websites with mobile compatibility and mobile app connectivity will be awarded higher rankings in search results than those sites without. This update will significantly impact Real Estate professionals with websites that are not mobile-friendly. If your current site is not responsive to different screen sizes, properly configured, or able to be viewed on different device types, Google will penalize your search rankings. The reasoning for this update is simple. As the world moves to mobile and more and more of our lives occur in a handheld device, it is critical that websites are able to keep up. This is just more proof that the majority of all searching is done on mobile devices. And having a mobile website is often a prerequisite to having an application. While your first step to beating this new algorithm is to update your website so that it is mobile friendly, creating your own personal app is the real solution in a world that demands instant information and interactive features. An app is like a mobile website on steroids. It provides a two-way, interactive experience for the user, vs. a 1-way viewing experience, such as a mobile website. And as we already know, businesses that offer both a mobile website and native apps typically see 4-5 times more usage with the native apps over the mobile website. A native application is significantly easier for a visitor to find on their device compared to a mobile site that is typically buried as a bookmark within their browser. Here at SnApp Real Estate, we know how important it is to have both. A mobile friendly website will ensure you are not affected by Google’s new changes. While the exact repercussions may not be spelled out, the warning signs are there and should be taken seriously. Get a mobile site, if you don’t already have one. Create a customized application so that your clients get a richer user experience and an easier way to access your products from anywhere. Prompt mobile website visitors to download your app. An application will provide users with speed they may not get while trying to access your mobile website based on cellular data coverage. Make sure your app is fast and not clunky. Native applications make everything easier. 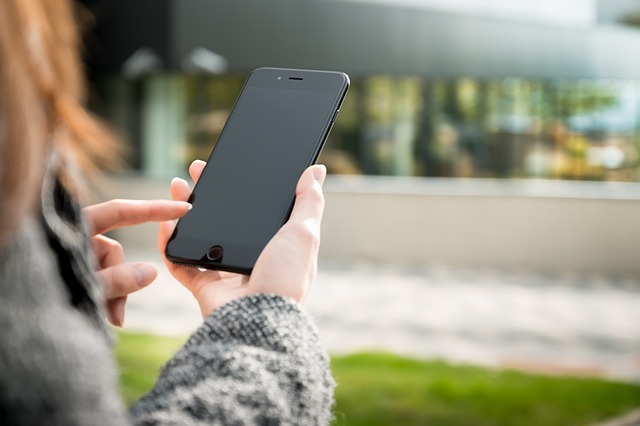 Customers can efficiently contact you directly by texting or emailing about listings seen that day, as well as streamlining the sales process. Make your app interactive and help your customer to streamline their search. Google’s expansion of mobile-friendliness as a ranking signal means a mobile friendly site will stay relevant, for user search results on their devices. Make sure the features and information your customers desire most, is readily available within your app. Next week we will dive deeper into the difference between a mobile website and native app to help you understand how each will affect your business as a real estate agent. To receive info about having a mobile app built for your agency, click here. This entry was posted in SnApp Development and tagged app designers, app developer for hire, app development apple, app development companies, app development company, app development ios, apple app development, apple app development cost, apple application development, apple apps development, application development companies, iphone application development companies, mobile application companies, mobile applications development companies, mobile applications for real estate, mobile applications for real estate companies, mobile apps for real estate, real estate mobile apps, snapp development, snappdevelopment.com, top mobile application development companies, www.snapp-dev.com. Bookmark the permalink.